Hip Hop Producer Alex Da Kid Becomes The Creative Force Guiding Rock Band, Imagine Dragons! By now British song writer and producer, Alex Da Kid has probably become some what of a house hold name thanks to the success he has enjoyed producing some great Hip Hop tracks, turned Pop smashes. His breakthrough in the business came in 2010 when he had the opportunity to produce 5 hit singles for a collection of the world’s biggest stars. Now in only a matter of a few years, the 28 year old producer has gone from an unknown to one of the most in demand people in the business, one who is arguably helping shape and push the boundaries of Pop music single handedly. Interscope Records’ Chairman, Jimmy Iovine has seen Alex Da Kid’s success as an opportunity to grow his Interscope family. Like Timbaland and Pharrell Williams before him, Interscope has agreed to distribute Alex Da Kid’s own boutique label, KIDinaKORNER Records. KIDinaKORNER serves as a home for Alex Da Kid’s passion projects that he completely produces on his own, and also serves as executive producer. The most interesting part about Kid’s label is the fact that even though he has risen to fane off the success of many mainstream Hip Hop songs, the first music to come from his label will be from progressive Alternative/Rock acts. This may seem like a surprise to some initially, but if you listen to the keyboards and string sounds Alex uses in his instrumentals laced with crashing heavy drums, you will see that producing Alternative Rock music sounds like natural artistic growth for him. The first example of Alex’s sound mixed into the Rock genre came when he produced the lead single for the soundtrack for the now controversial Broadway show, Spider-Man: Turn Off The Dark . Like his work with the Hip Hop stars, that made him famous, Alex spread his wings to step into the Rock genre with the help of some its biggest franchise players. By putting his stamp on the single, “Rise Above1 ” by Reeve Carney, who plays the lead of Peter Parker/Spider-Man, Alex was able to collaborate with Bono and The Edge of the legendary Rock group, U2. The duo were the composers connected the unique Marvel Comics based musical, While Turn Off The Dark did in fact make history for becoming the most expensive musical in Broadway history, its soundtrack served as the perfect platform for Alex to try a new sound, and expand his resume on what we would then hear more of on his label, ,KIDinaKORNER. We originally told you the story behind the first artist to sign to the label in various articles published last year. That artist is the singer/song writer, Skylar Grey. She is the creative force who helped Alex construct the hits “Love The Way You Lie” by Eminem featuring Rihanna, (“Love The Way You Lie Part II” by Rihanna Featuring Eminem) “Coming Home” by Diddy-Dirty Money, as well as T.I. featuring Christina Aguilera’s “Castle Walls”, and Dr. Dre’s “I Need A Doctor”, and Lupe Fiasco’s “Words I Never Said.” In January of 2012 , KIDinaKORNER/Interscope released a 3 song EP of Skylar singing her versions of songs by Eminem, Diddy-Dirty Mone, and Lupe Fiasco. Skyler’s versionsof those songs feaured her original stripped down keyboard based demos of what would be re-worked in to Hip Hop hits. Now Alex is getting ready to introduce us to his latest project, a new band from Las Vegas called Imagine Dragons! These guys are an Indie Rock band that have finally began to be given the opportunity to hit the big time after years of hard work! The quartet harnessed the restless energy in three independently released EP’s. 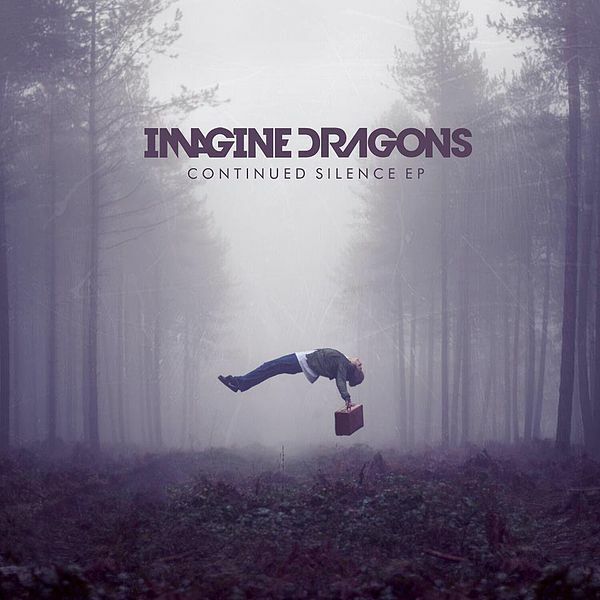 It all started in 2009 with their self-titled Imagine Dragons EP, followed by. Hell and Silence in 2010 . It was that EP that marked the beginning of the build up of the group’s momentum. The guys earned a string of local accolades including “Best Local Indie Band 2010” (Hell And Silence) by Las Vegas Weekly and “Best CD of 2011” by Vegas Seven magazine for their third independent EP It’s Time. The first single from Continued Silence, “It’s Time,” takes its name from that release and is available now as a part of that EP which is the band’s first major label release online now from KIDinaKORNER/Interscope Records. 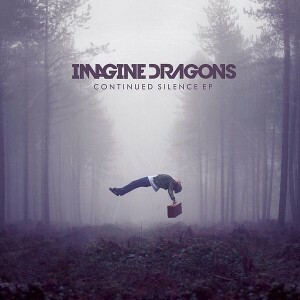 The songs on Continued Silence are just a taste of what’s to come from Imagine Dragons, who combine their synth-laden rock sound with the hip-hop sensibilities of their new executive producer, and EP producer that they have found in, Alex. The alchemy that results when these creative forces get together is nothing short of explosive, and it has helped give the band some enormous potential to be one of the next stars on Alex Da Kid’s fledgling label. “Its Time” has made quite a huge impact in a very short amount of time. Since the EP’s February 2012 release, “Its Time” has become the first single from the EP and started receiving airplay on. It has begun charting on the Billboard Alternative and Billboard Rock charts. Since then the song’s video has been included on MTV’s “Fresh Faces” promotional campaign, putting the group in the spotlight, and leading the way for other songs of theirs to slowly make an impact as well. The EP’s track ,”Radioactive” has also received airplay on KCRW I As a result of the group’s growing popularity ITunes featured the EP on its “Rising Stars of Alt Rock” in addition to featuring track “It’s Time” on its $0.69 “Alt Rock Hits” beginning April 30, 2012. Amazon has also featured the EP on its May 2012 “100 Albums for $5” promotion. Its official the secret is out! Imagine Dragons is one of the coolest bands out there! Alex has done It again!